Sunday’s final MotoGP round in Valencia is almost a sideshow as the world awaits Valentino Rossi’s much anticipated return to Yamaha in next week’s traditional two-day test session. Rossi will end his two-year Ducati nightmare in Spain on Sunday before moving back to partner newly crowned world champion Jorge Lorenzo in Yamaha’s official factory squad. 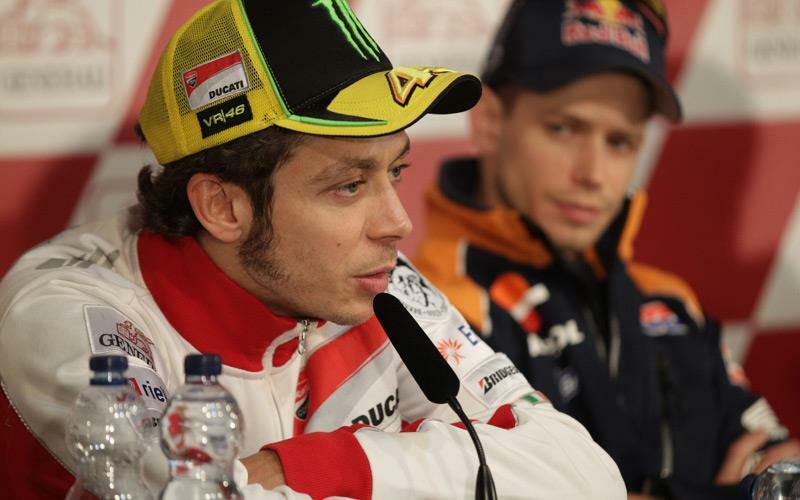 The 33-year-old Italian spoke of his excitement and anticipation ahead of the start of 2013 testing at the Ricardo Tormo track on Tuesday in the pre-event press conference at Valencia today. Rossi has scored just three podium finishes in 34 races for Ducati and despite such a lack of success, he says leaving the Bologna factory will be an emotional experience. Rossi, who was part of a four-rider pile-up at the first corner in Valencia last season, added: “This is the last race with the Ducati and we arrive at the end of this story between us that unfortunately never gives a good performance that we expect. "It will be difficult on Sunday because after you work for a long part of the year with the same people and you have to stop and change teams it will be very emotional.